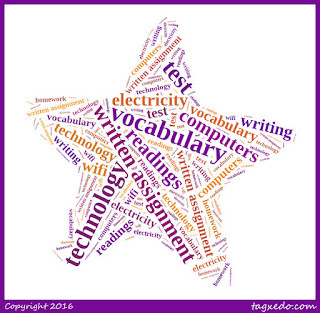 Students write about a concept or idea from the lesson that was muddiest for them. The exit slip becomes a formative assessment when the educator (or the student) uses the responses to determine the next steps in the learning process. The technique consists of asking students to jot down a quick response to one question: "What was the muddiest point in ________?" The focus of the Muddiest Point assessment might be a lecture, a discussion, a homework assignment, a play, or a film. 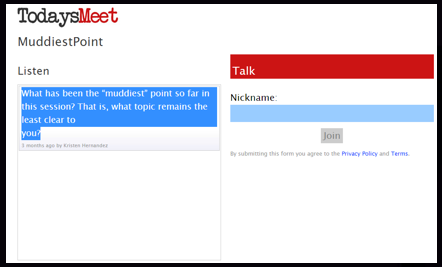 Create an Todays Meet room and allow students to respond with their "muddiest points". Students input their names and the response to the question. You can save the chat and post the script into your LMS if you would like. Your Todays Meet chat can also be embeded into your Moodle/LMS course which keeps from having students leave out of the Moodle/LMS session. 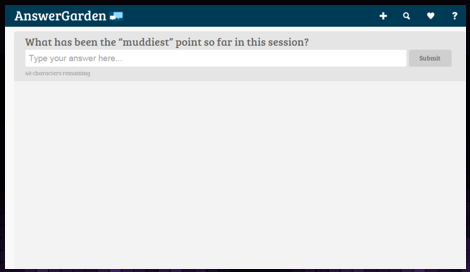 Create an AnswerGarden and allow students to respond with their "muddiest points". When setting up your Answer Garden you can choose from 20 or 40 character responses. When you hover over a response, it will let you know how many students have inputted that answer. 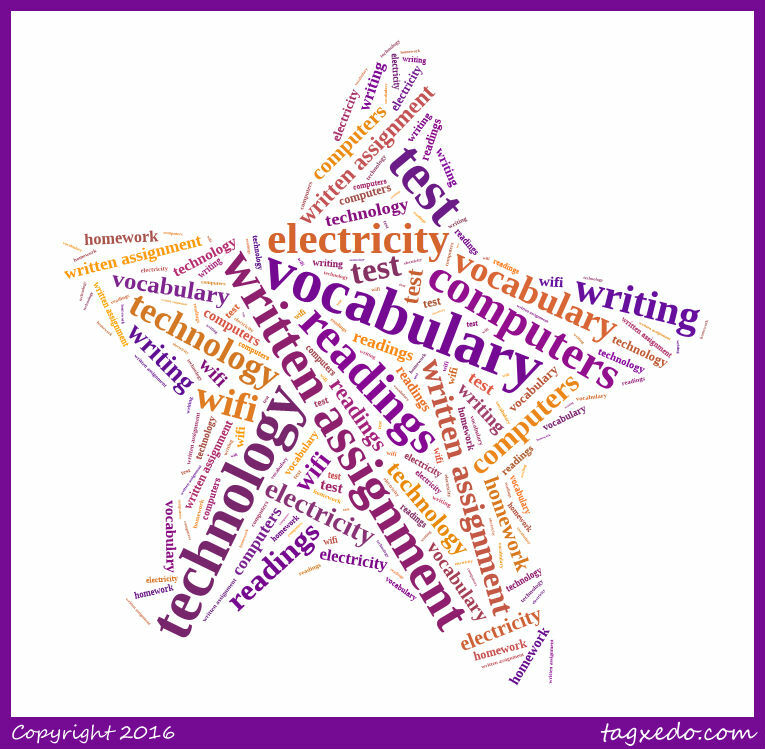 When complete you can export your word cloud to a fancier word cloud program to make is more appealing. AnswerGarden results are great discussion starters. Your AnswerGarden can also be embeded into your Moodle/LMS course which keeps from having students leave out of the Moodle/LMS session. Here is an example of my AnswerGarden exported to Tagxedo. Create a "Forum" and allow students to respond with their "muddiest points". If you want their responses to be anonymous, you can choose the "Feedback" tool within Moodle. Each option will give you the desired results.